It was a lot of fun while it lasted. These 6 years making this comic have been very productive for me, and I’ve met so many good people because of it. As I’ve said in this epitaph, I will continue to update this site with GSH concept art, including characters, races, locations and scenarios. I hope those of you who have been regularly checking in to this comic will at least be interested to check it out every so often. I’m sorry to hear you’re going through those struggles, but best of luck in the new studies! I’ll always be here checking up on how things are going with the game, even if I don’t always comment. Thanks for the great comic over the years! Thank you so much! 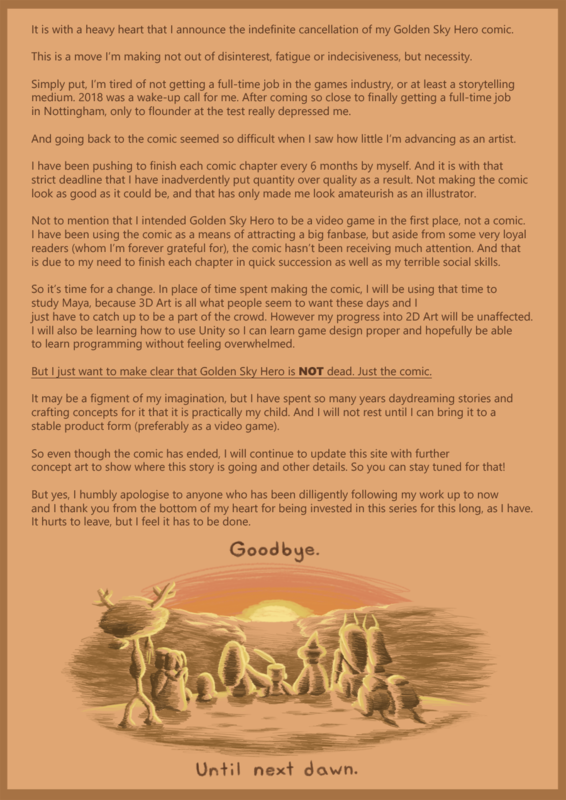 I heavily appreciate you taking the time to read my work over these years. It warms my heart to know someone enjoyed it.